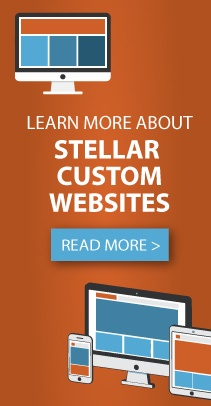 Stellar Blue Technologies, a Neenah, WI, digital marketing firm, has launched a new custom website for Mathfab of Oshkosh. Providing excellence since 1900, Mathfab specializes in detailing, structural steel modification, custom metal fabrication, and weld repair. It was a pleasure to have played a role in developing a fresh new look to the design and functionality of their website! A clean, polished touch pulls information to the forefront of this website. The website presents a refined look featuring grey tones and light blue to reflect the look of steel as viewers scroll through. The new homepage features a rotating photo display of featured projects and puts information about their services, mission, and contact information front and center. Customer testimonials at the bottom of the homepage allow visitors to receive reputable opinions of the services Mathfab provides. Whether it be services they provide or if you’re interested in working with Mathfab, the information focused homepage makes it easier than ever to find what you’re looking for.